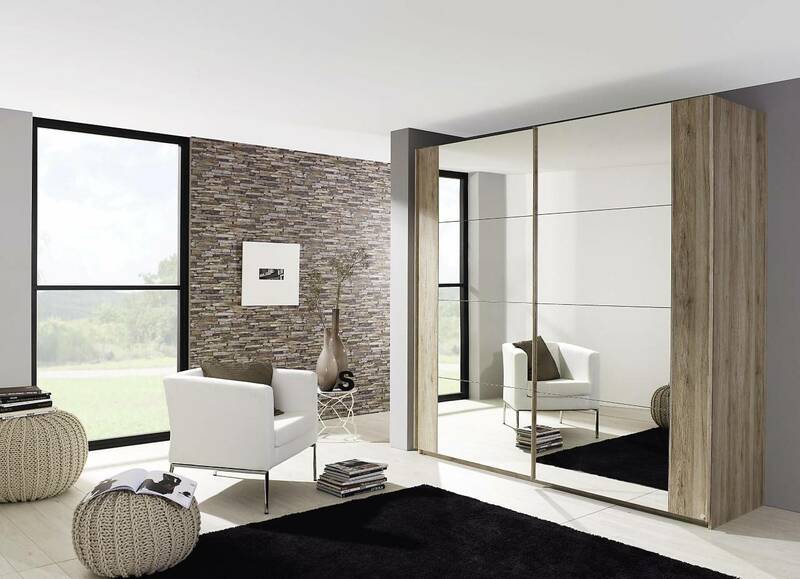 A simple but striking design: Balis has an eye-catching effect without dominating the room. 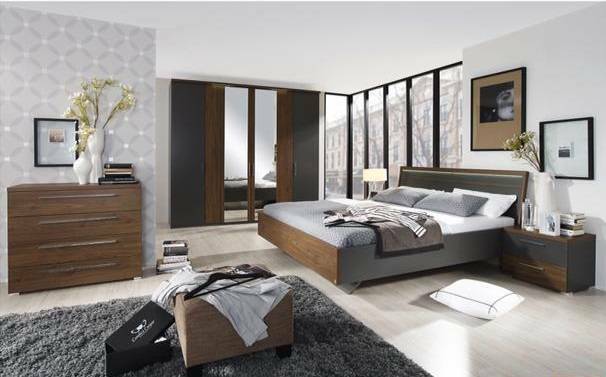 The beautiful folding door wardrobes match the beds in colour and style, without looking exactly the same. Instead you have a wide range of subtle colours, different sizes and combinations to choose from, so that you plan the wardrobe according to your wishes: in a standard or highly polished finish, with one or more mirror doors, with drawers and even around corners. The possibilities are manifold, including a variety of chests and bedside tables as ideal partners for bed and wardrobe. What’s more: Balis can be combined perfectly with furniture from Belao or Braya. Leno-Color adds extra special flair to any bedroom, with its striking wardrobe design and superbly comfortable bed with padded, faux leather headboard. 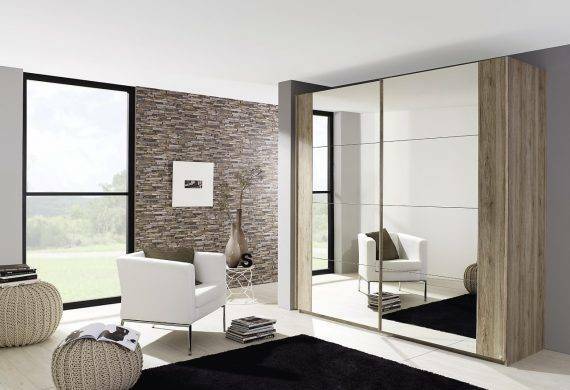 The wardrobes with its marked vertical stripes are designed in glass surfaces, which add a touch of glamour to your bedroom. 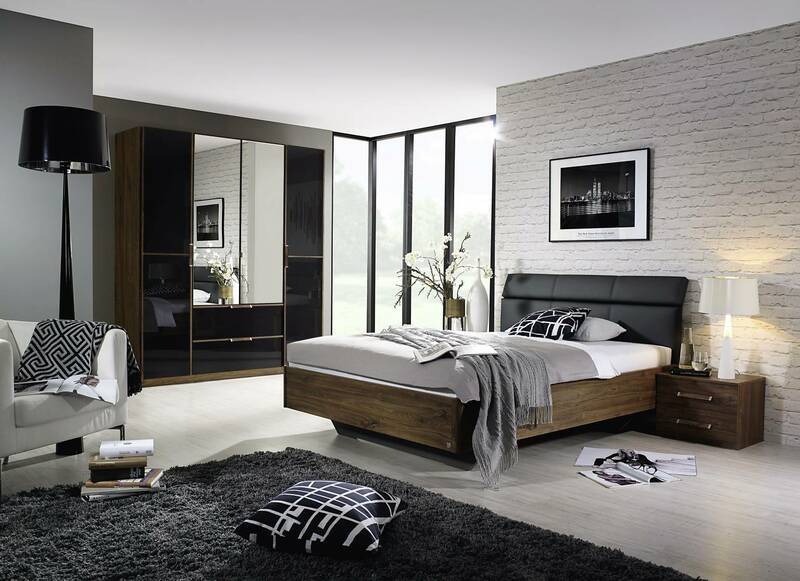 Suitable bedside tables and chests are also available within this programme. Fitting service available on all flat packed furniture. 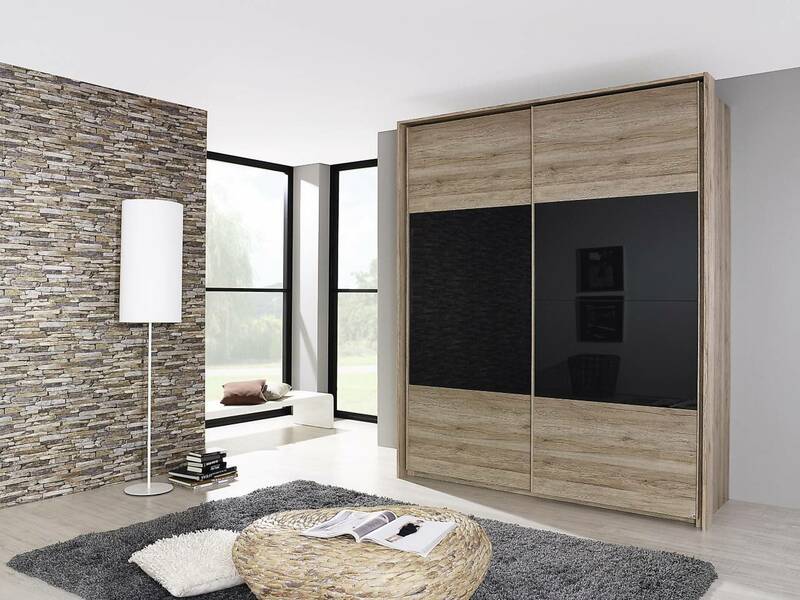 Rauch Xtend Wardrobes collection is a stunning range of Contemporary bedroom furniture which really shows the true meaning of modern beauty. 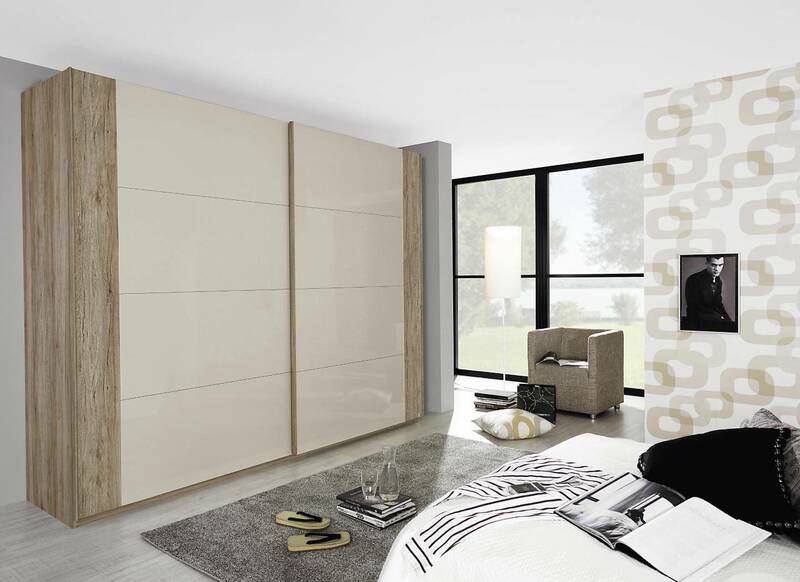 This Wardrobe range features sliding door wardrobe with light accessories, modern bedroom storage. The three different design lines “stripe”, “frame” and “line” makes it easier for you to select from the options available. 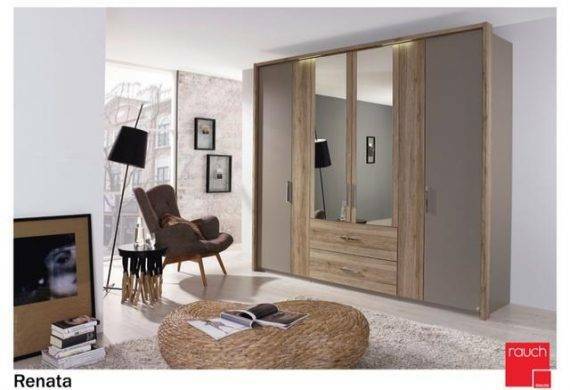 Fronts in wood decor, with mirror or high gloss, colour- or effect glass with a wave structure: for each and every style, the X-tend is the suitable solution which can be wonderfully arranged with all pieces of furniture and offers considerable storage space for rooms where space is limited. 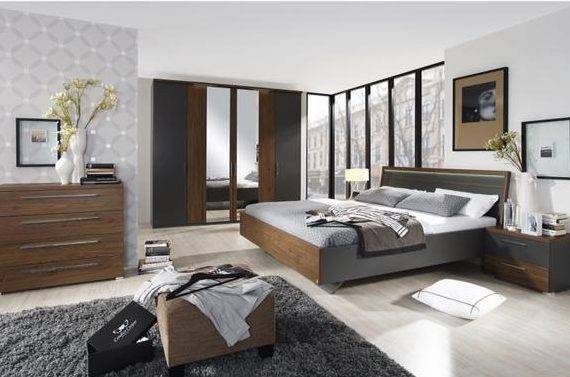 Sliding doors save still more room. 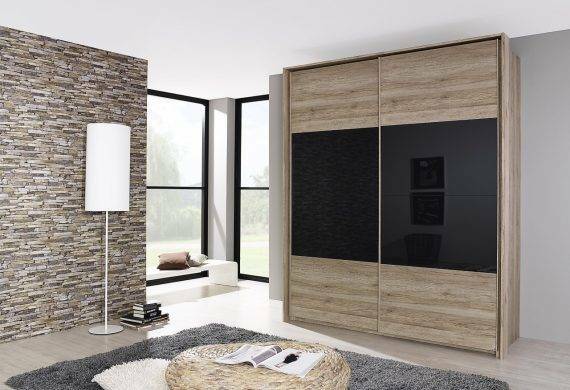 The Rauch Xtend Wardrobes range is full of wonderful design and features painted wood effect technique which is finished in lacquer for durability. 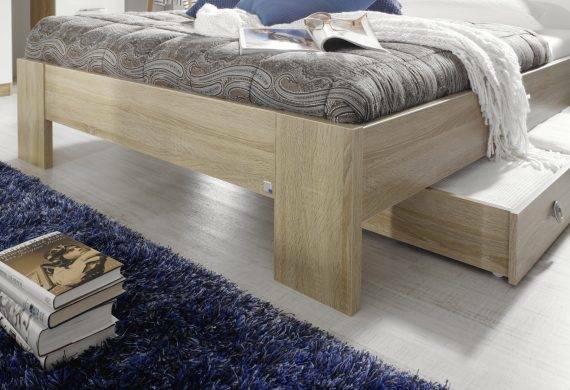 This well crafted value furniture will truly add a welcome and calm atmosphere for any home. 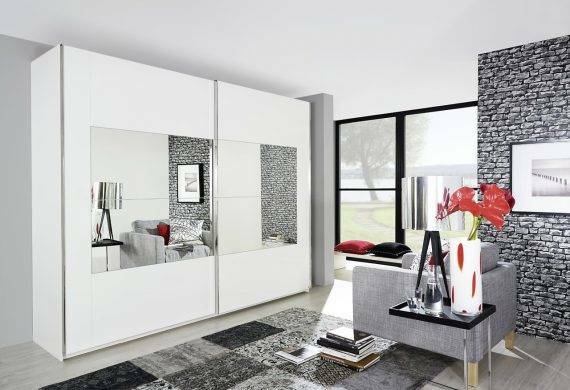 In addition to high-gloss fronts, bedside tables and cupboards, a corner wardrobe and a bed box on castors, it also offers an overbed unit. 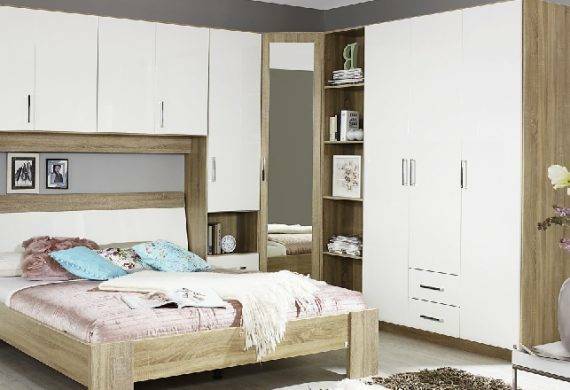 These elements allow you to incorporate much more storage space into your bedroom. 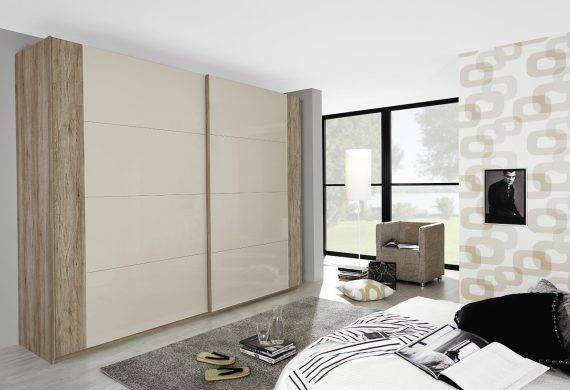 The optional mirrored fronts of the hinged door robes and corner wardrobes lend the Samos range a light and elegant appearance. 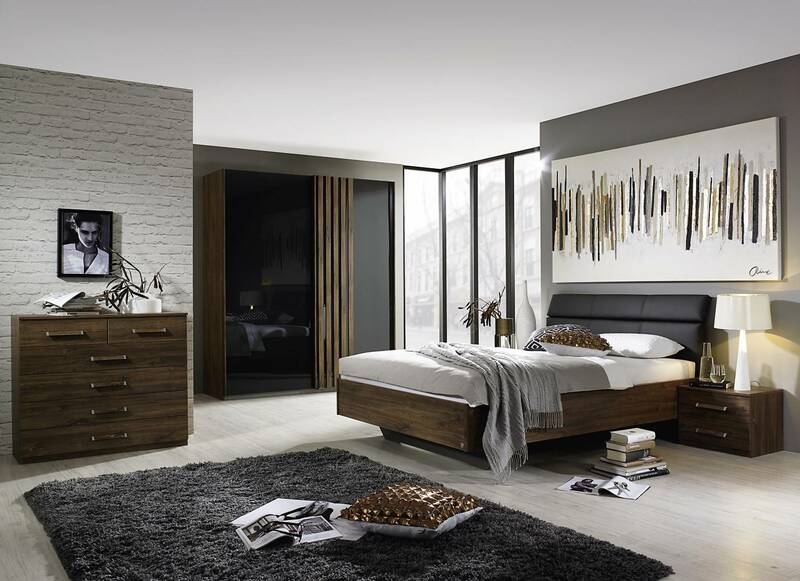 A mix of subtle colours and warm wood decor is what makes Renata an ideal choice for any bedroom. 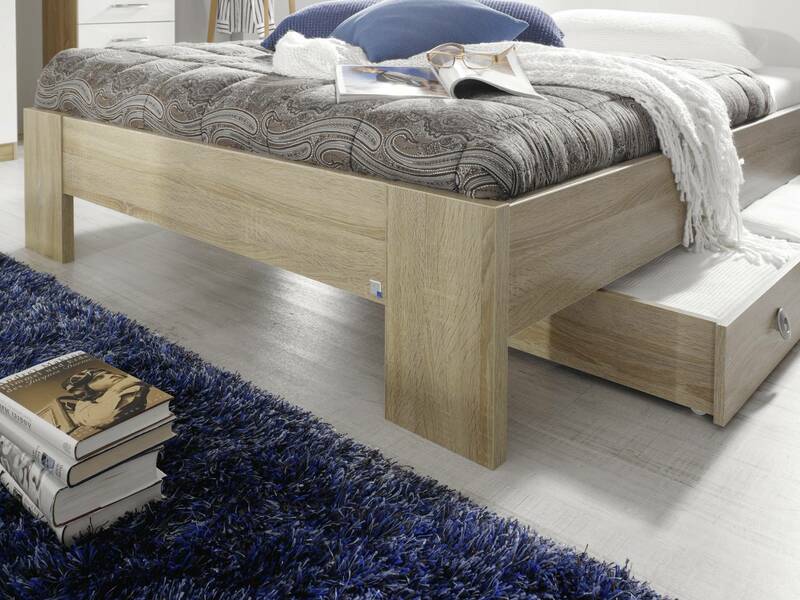 The Comfort Beds impress with exquisite applications on the headboard as well as the foot section. 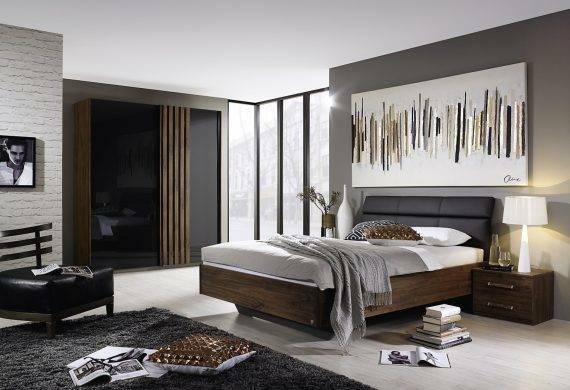 To create a warm, gentle glow, you can add optional ambient lighting on the headboard. 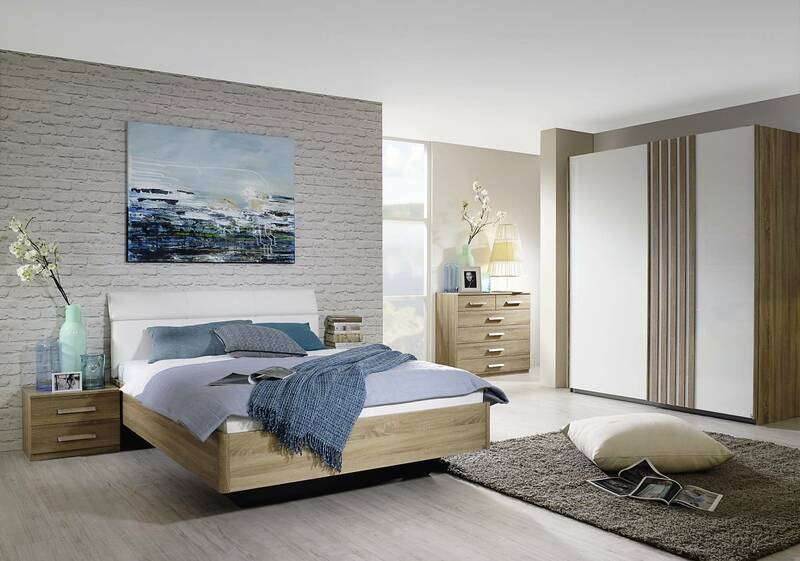 Special fittings also enable you to adjust the mattress height to suit your personal needs – for pure sleeping comfort. 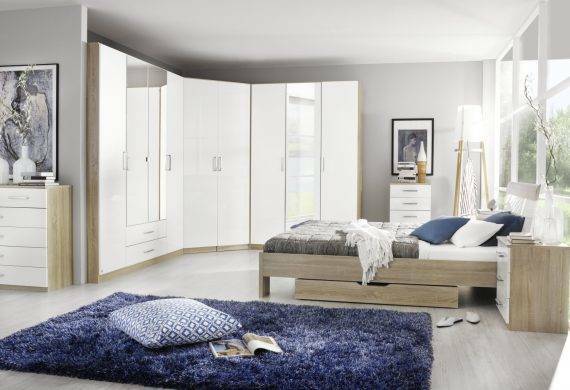 A wide range of matching wardrobes, bedside tables and chests makes it easy for you to furnish your room to your own personal taste. 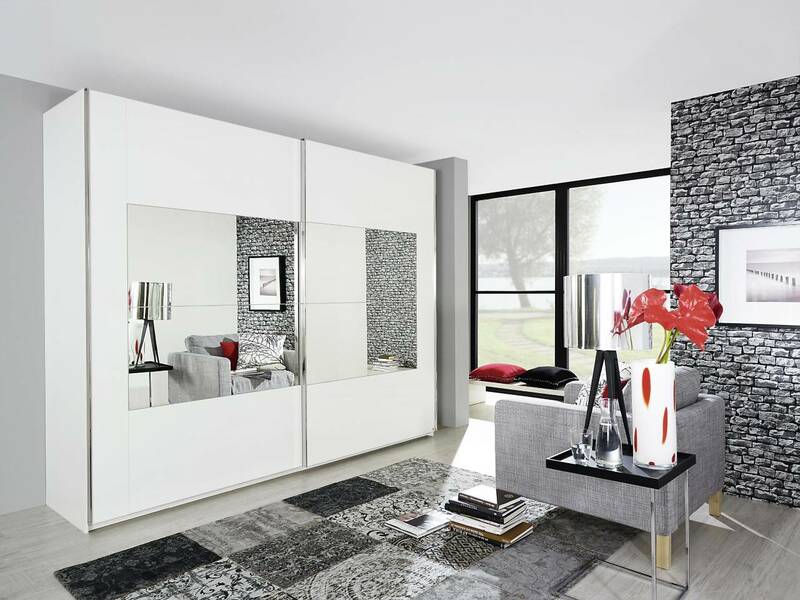 Spacious hinged or sliding door wardrobes with colour applications are available in different sizes, and with or without mirror doors. If desired, you can also add a Passepartout frame to give your bedroom an extra touch of elegance.